Most business projection is done at low resolutions such as 1280x800 or 1024x768, resolutions commonly found on laptop computers and meant for Powerpoint presentations and other low-detail material. However, some business presentations benefit from a higher-resolution treatment. Some also need more accurate color than that available on most commercial models. Enter the Vivitek D952HD. 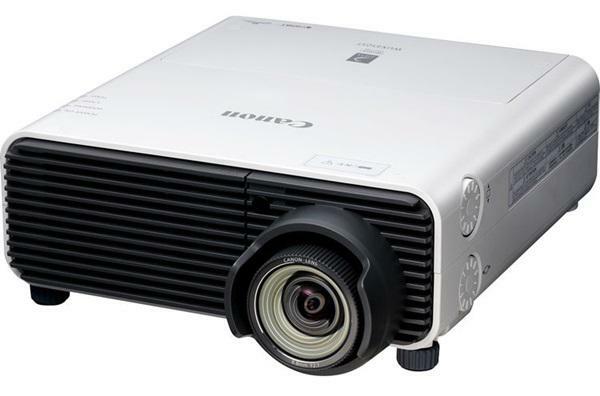 The D952HD is a 1080p (1920x1080) presentation projector built for portability and maximum image quality. The D952HD includes the sort of color adjustment capability usually reserved for home theater projectors, making it a great choice for photographers or museums in need of a more accurate projector. Yet it still packs a wallop when it comes to light output. Capable and fully-featured, the D952HD has an MSRP of $1,999 but street prices can be found below $1,500. The D952HD is a bright 1080p projector built for business, so it's a great fit any time you need high-resolution data projection in ambient light. This could be anything from a particularly large Excel spreadsheet to data graphics or photography, which is helped by the D952HD's exceptional color performance. Light output in Normal mode, which has a good balance of brightness and contrast, is roughly 2,000 ANSI lumens. This is enough for a 80" to 100" diagonal image in ambient light, while a darker room could support a 120" or larger image while still creating the three-dimensional pop that makes high-contrast graphics and photographs look their best. The D952HD is designed with portability in mind, so it uses a lens with a small 1.2:1 zoom range and has a fixed throw angle offset of 29%. This is a common lens arrangement to find on a business projector and it lends itself especially to placement on a conference table. The D952HD will produce a 100" diagonal image from 11' 7" to 13' 11". A 60" diagonal can be obtained from as little as 7 feet. one thing you didnt mention is the color wheel speed.i know the 950hd is a 2x which to me is unacceptable. is this model the same as its lower lumen brother?